Look for Brainstorm to demonstrate photo-realistic imagery with real-time ray tracing at this year's show. 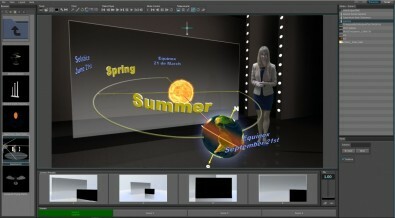 Celebrating its 25thyear exhibiting at the NAB 2019 show, the big news from Brainstorm will be its demonstration of real-time ray tracing in its latest version of InfinitySet virtual set and AR software. 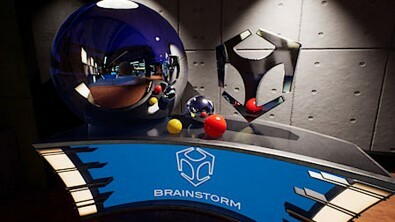 “By using the power of the Nvidia RTX GPU along with the rendering capability of the latest Unreal Engine 4.22 from Epic Games, this new level of real time ray tracing will let InfinitySet function as the hub for our main demo, displaying virtual set and Augmented Reality operations," said Miguel Churruca, marketing and communications director at Brainstorm. In addition to real time ray tracing (which, by the way, is the computationally intensive rendering technique of generating an image by mapping the trajectory of light rays as pixels in an image plane to simulate the effects of their impacts with virtual objects—such as reflections) Brainstorm will also be showing off InfinitySet’s new HDR I/O capabilities along with PBR (Physically Based Rendering) and 360-degree output. Neuron, Brainstorm’s broadcast graphics management system, and their template-based elections and business graphics application, AstonElections, which was introduced last year, will have new capabilities for weather, sports analysis, presentations and interactive 360-degree content. The new Presentations Module means an end to "Death by PowerPoint" presentations. Churruca also revealed that the company will be releasing a new Presentations Module for InfinitySet designed for live shows. This will create AR content using material from a presentation tool such as Microsoft PowerPoint or Adobe PDF. Calling upon a new interface, the Presentation Module integrates slides, pictures, movies, PDF or PPT presentations, 3D objects and many more elements including Aston projects and forms to make live conferences more compelling.